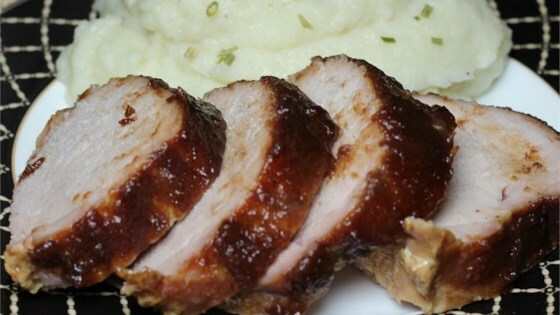 "This is the best pork recipe I've ever made. This pork is seasoned with a spiced apple butter, and roasted in apple juice. If food can be warm and cozy, this is it--a great Sunday dish!" Not something I enjoyed. Sorry. The whole family loved it. I wouldn't change one thing. I did try this recipe in a slow cooker and it was just a great as in the oven.